Emails are indispensable among all business communication formats, yet it is known that email forwarding and archiving are not a friendly experience. C&T's flagship EIM software product VITOVA EIM is built with the importance of emails in mind. 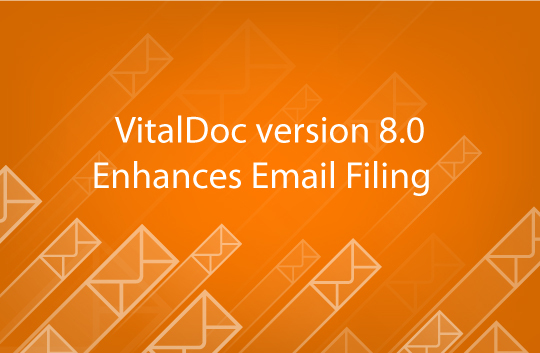 The VitalDoc version 8.0 with support of up to Microsoft Outlook 2016 will be released in Q1 2017 with process enhancement and new functions that make email filing more intuitive. 1. 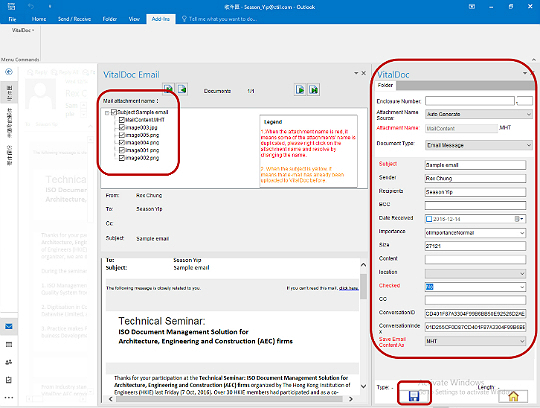 Simply drag & drop any selected email to a VitalDoc folder on the right panel. 2. 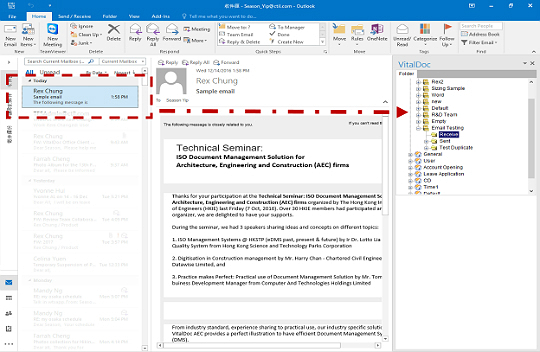 A dialog box on the Outlook interface with pre-extracted email data, including the subject, sender, attachment, etc, allows you to make further content amendment and attachment selection before "Save". 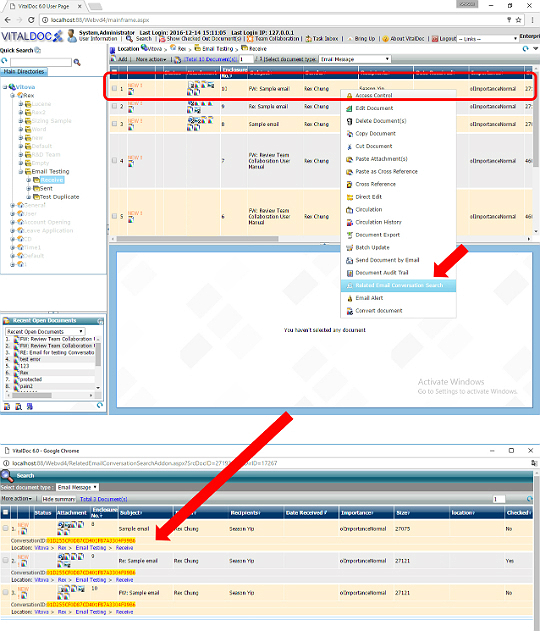 As different email account users may come across the same email from their individual inbox, the Deduplication function establishes unique IDs for each email and avoids repeated filing through ID validation. The Related Email Conversation Search helps each email account user easily trace all the history of any specific correspondence, about a particular project, issue, meeting, etc. VitalDoc version 8.0 allows every internal email account user to share emails systematically and precisely through the integrated repository, facilitating easy management and knowledge sharing across an enterprise.